Whenever a discussion on the best dynamic microphone comes up, it’s always an opportunity to learn and see what works for others. After all, we can’t all use the same thing the same way. The best things always come at a price, since the maker must have put so much into them for their uniqueness. This uniqueness could however just be in the design or technologies used, and may not guarantee a top class performance. It may be otherwise too. However, as opposed to that general believe that quality goes with price, paying so much for a microphone does not nullify the fact that something cheaper can do the same job. Price may therefore not be the only criteria for us to determine the best dynamic microphone, but it is worth considering. So, if all you need is a simple microphone for podcasting, or you will be setting up your home studio soon, you should keep reading. 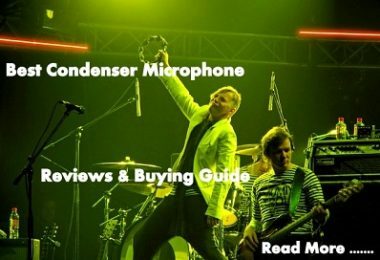 And if you are a pro and wish to upgrade your standard studio or live performance microphones for a better output, this buying guide will ease your decision making on the right choice of dynamic microphone. Our review covers the best cheap dynamic microphones for you to get things running. You will also learn about some ‘high-class but expensive’ dynamic microphones that are known to deliver an output worth their price. Irrespective of how much you have, it will still fall within the range of the best budget dynamic microphones in this buying guide. So What is a Dynamic Microphone? A dynamic microphone is a type of receiver that changes audio signals to electrical signals through electromagnetism. There is a unique name for dynamic microphones coined from their working principle. They are called “moving coil microphones” because they function like a reversed loudspeaker. A dynamic microphone consists primarily of a diaphragm, a magnet, and a voice coil wrapped around it. When we make a sound, it sets the air around the diaphragm into vibration. The movement of the voice coil around the magnet then creates an electric current. The generated current then goes through the cables into the mixer and amplifiers for a boost. The amplified current is then sent back to the speakers through connecting cables to produce sound in a reversed process. As a measure to cut-off feedbacks in dynamic microphones, they suffer a poor sensitivity to very high frequencies, unlike their condenser counterparts. The physics behind this low sensitivity to high frequencies is in the large mass of the voice coil in a dynamic microphone. It becomes difficult to set the diaphragm into vibration if there isn’t enough energy produced by the air around it, which is the case for high frequencies. Dynamic microphones come in various sizes, shapes, and designs and are commonly used for live performances because they are sturdier and can withstand pressure. 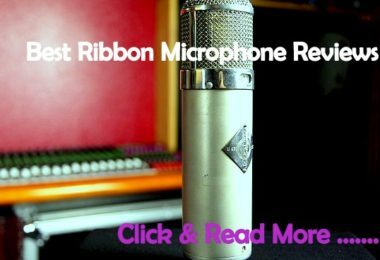 There have been several discussions on dynamic microphones and condenser microphones difference over the years, but here we will clarify and check few relevant facts on them. 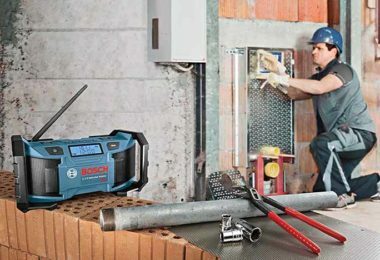 It is important to understand that the two receiver types in question do not have the same directional characteristics and they both make use of different transducer principles which makes them unique in their way. 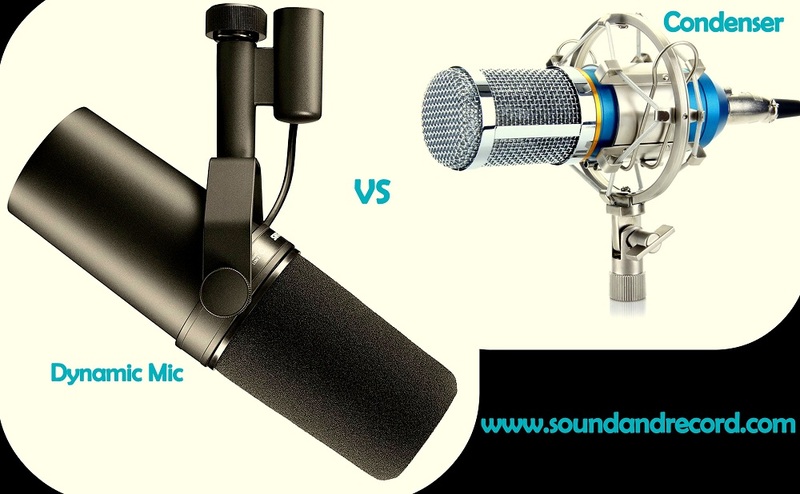 Therefore, our “dynamic microphone versus condenser microphone” debate will be a general review of their functionality principles, build, efficiency and performance, both in and out of the studio to help you understand how they work. A condenser microphone relies on a DC polarizing voltage called ‘phantom power’ to produce the required power needed by its transducer elements for the best result. Some of these condenser microphones depend on mixing consoles or microphone preamplifiers to get the needed voltage supply while some others depend on dry cells. Unlike condenser microphones, all dynamic microphones, apart from the active dynamic type, will perform optimally without any extra power supply. A dynamic microphone, therefore, can save cost and reduce power consumption. 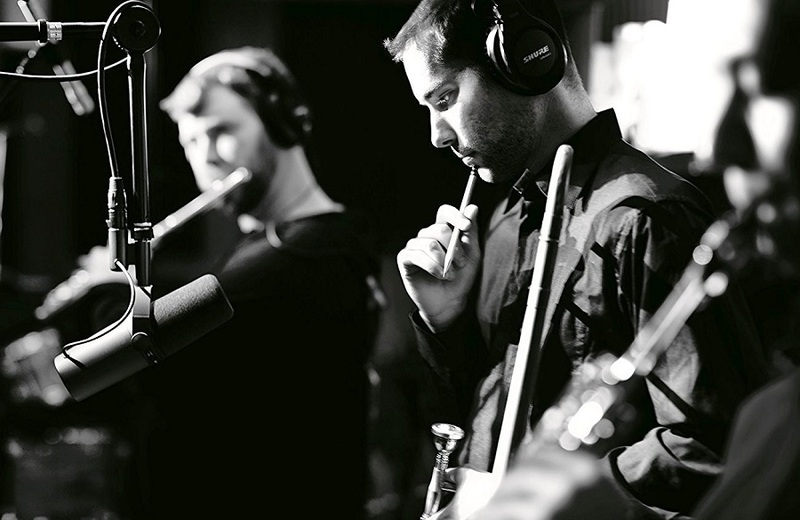 In a live production setup, a condenser microphone due to its high sensitivity may pick feedback noises around, something a producer does not want in his mix. The sensitivity of the condenser microphone can be reduced to this effect too, but there will be a consequent reduction in its loudness. On the other hand, a well-positioned dynamic microphone on stage can cut-off enough feedbacks because of its lower sensitivity, compared to its condenser counterpart. It is not to say dynamic microphones don’t pick feedback noises too. “Feedbacks” become minimal if the microphone is not so sensitive or built with a multi-directional transducer – a common element in condenser microphones. There are several high quality, yet cheap dynamic mics out there that can perform as much as their condenser counterparts in and out of the studio. Unfortunately, most people purchase very expensive gears because they believe anything cheap may suffer in quality, while some believe going for the most expensive gadgets is a show of class and prestige. Most studio standard condenser microphones are very costly, yet delicate. Studio engineers who know what they want rather go after the specs and give it a shot as long as it meets their requirements without breaking their budget. If you are thinking of having your home studio, or want to start your podcast recording in your room, you don’t have to wait till you can afford very expensive condenser microphones. There are several low-cost dynamic microphones to pick from, and anyone of them will be a good way to start something. Unlike in dynamic mics where a voice coil of high mass must be set into vibration to produce sound, a condenser microphone makes use of a much thinner gold-plated plastic film. This thin film is delicate and can burnt-out or cut-off if there is too much sound pressure. In that case, condenser microphones work best in a controlled environment rather than around a loud sound source, which is the situation in outdoor live performances. Also, considering outdoor programs where people can carelessly drop a microphone, pull it down or spill stuff on it, a condenser microphone exposed to that much pressure may get damaged soon. A dynamic microphone will therefore thrive and survive in such situations due to its rigidity. Dynamic microphones often come in extra weight for a more robust feel and are not as fragile as condenser microphones. Dynamic microphones are always ready for the road and perfect for any outdoor show. It will not be correct to say dynamic mics are better than their condenser counterpart since condenser microphones serve specific purposes. But if we would go by, which of these two receiver types have a healthy lifespan and a wide range of usage out there, dynamic microphones will have it. 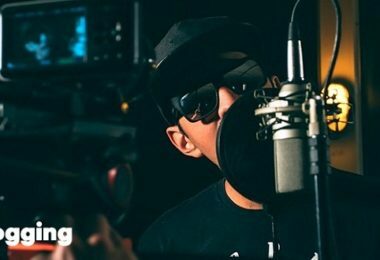 Dynamic microphones are not without limitations too, but they are still a better choice than the condenser microphone especially for an out-of-the-studio performance. Here are few drawbacks of most dynamic microphones. 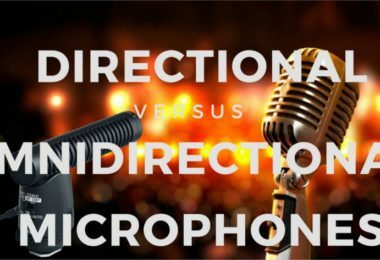 A dynamic microphone will not be able to pick audio signals from more than one direction. In situations where backups are out of microphones, and about one or two of them will need to share a single microphone, its loudness would suffer, and the vocalist directly in front becomes more audible than the others. Dynamic microphones, therefore, can only pick signals if the projected sound is parallel to the direction where it points. Consequently, this means more microphones will be needed to serve a larger number of backups when a single condenser microphone can just do the job. Just like other kinds of microphone, a dynamic microphone has its frequency range, and this varies depending on which product you choose. But in general, condenser microphones do have a sensitivity that is much higher than what a dynamic microphone can possess. It is as a result of the thin gold-plated film in their transducers which vibrates at any slight audio signal. It becomes a limitation for dynamic microphones in situations where you need to pick distant audio signals. If you are limited by your budget and wish to know the best cheap dynamic microphone, or your budget is around $500, and you need the best dynamic microphone worth the price, this part covers it all! Our choice of the best dynamic vocal mic under $500 is Shure’s SM7B Cardioid dynamic vocal microphone. The flat and wide-range frequency response of the mic makes it a perfect choice for music recording or podcasting on a professional level, and its reproduction always comes out natural and exceptionally clean. It can also be given a mild or high boost with its frequency response caps. The Shure SM7B comes with a shield against broadband interference and electromagnetic hums generated by electronic gadgets and neon lights. This updated version is also more stable and comes with an improved bracket design. Besides its windscreen, it comes with an additional A7WS windscreen which comes in handy for close-talk applications. Other accessories to the 2.7-pounds dynamic microphone include a replacement cartridge RPM106, locking yoke mount, and a foam windscreen. The pop filters effectively eliminate all explosive breath sounds that come up during narration and close-up vocals. As a way to reduce mechanical noise transmission, the SM7B comes with “air suspension” shock isolation mechanism within – part of what makes it the best dynamic vocal mic under $500. Shure’s BETA 58A Supercardioid Dynamic Microphone is another excellent vocal microphone that can deliver a professional output in your home studio, your podcasts, or for live sound reinforcement. It is a good choice of microphone for recording vocals, and we have selected it as our best dynamic mics under $300. 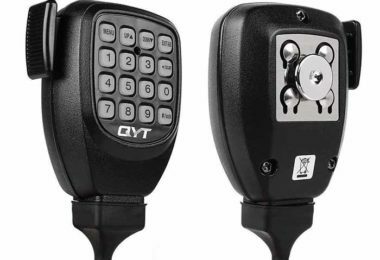 As a way to reduce vibration and mechanical noise transmission, this mic comes with an advanced pneumatic shock mount, and its Neodymium magnet type helps to maintain a healthy amount of “signal-to-noise” output. This super cardioid dynamic microphone also comes with a tailored frequency response for vocals. Its bass roll-off also helps in controlling proximity effect. Shure’s BETA 58A is made of hardened steel to survive adverse conditions. This dynamic microphone with its high vocal output and a price well around $170 is our choice on the best dynamic mics under $300. On the spot for the best cheap dynamic microphone is the Shure SM57-LC Cardioid. 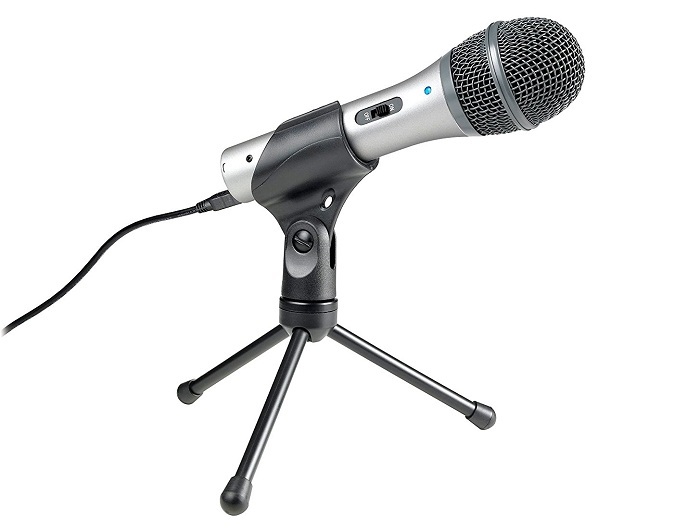 This 1.03 pounds dynamic microphone is one-dimensional and perfect for recording vocals or speeches. You can also consider it as an excellent pick-up microphone for your snares, toms, and kicks. If you will be recording woodwinds and guitars in the studio too, the SM57-LC Cardioid is the best dynamic microphone in this budget range. Its reproduction is well refined, highly professional, and of high quality. 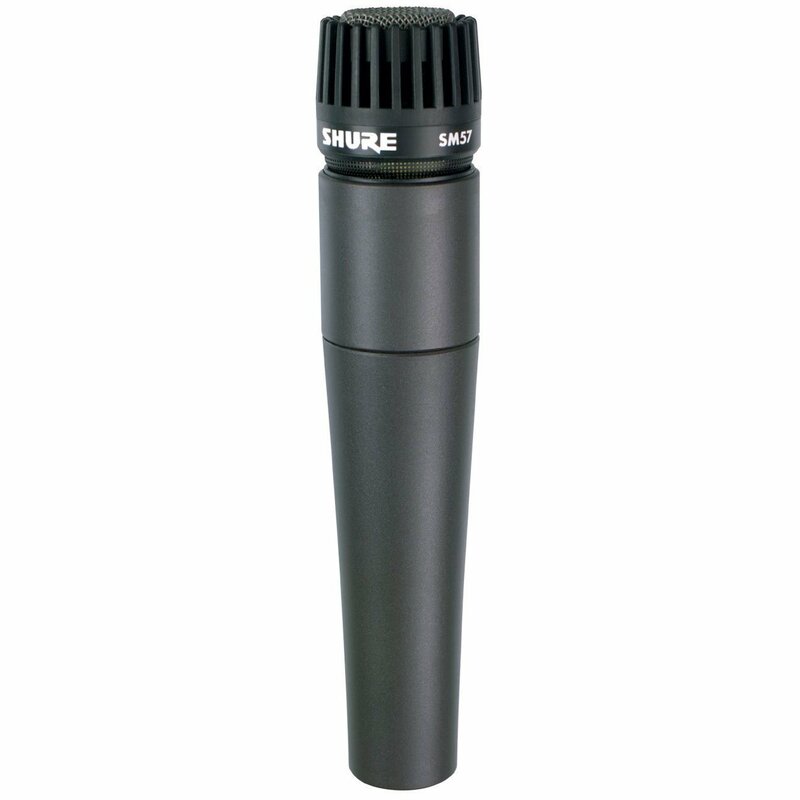 Shure confirms that the SM57-LC has been the favorite speech microphone for about thirty different presidents of The United States of America. The 6.2X1.2X1.2 inches dynamic microphone has a very clear contoured frequency response which is between 40Hz and 15,000 Hz. Its pick-up pattern is very efficient and can isolate the sound source while reducing the background noise well enough. The extreme durability of the SM57-LC cardioid under any adverse condition and its high performance, for a price below $100, sets it as our choice under the best cheap dynamic microphone category. 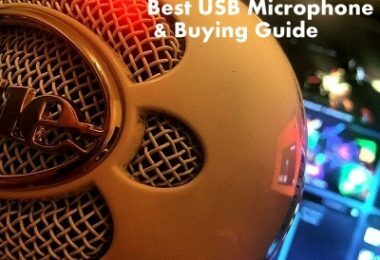 The ATR2100-USB dynamic microphone comes as the cheapest of all the dynamic microphones in our review and we have selected it as the best budget dynamic microphone. This USB powered dynamic microphone can serve you in your home studio, podcasting or live performances. 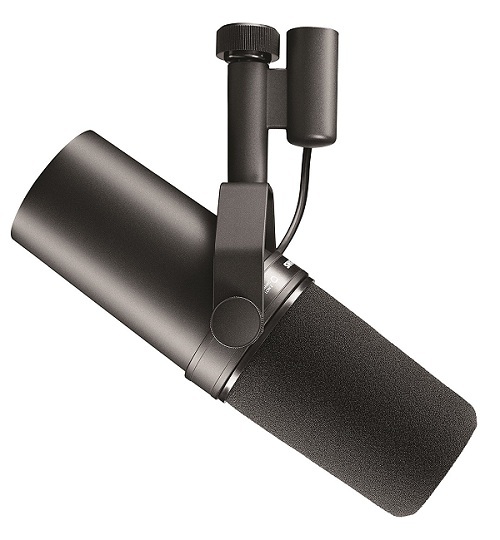 For durability, this mic comes in a sleek metallic body, and it weighs about 1.4 pounds. It has a twin output, XLR analog, and a USB which works fine with any digital recording software on both Windows and Mac. It is designed with a cardioid polar pattern to cut out unwanted surround noises. There is a headphone jack on its body through which you can monitor the output. The on/off switch on it also doubles as a control for the analog and USB mode. Its low mass diaphragm gives it a better sensitivity to high frequencies, and for a quality reproduction, it runs on a 16 bit AD converter at a sampling rate of 44.1/48 kHz. Amongst the accessories that come with the dynamic microphone is a foldable tripod desk stand, threaded stand clamps, a USB and XLR cable. Audio-Technica’s ATR2100-USB is ideal for voiceovers, podcasting, home studio use or live performances. With so much sophistication and output quality at a price of $67, Audio-Technica ATR2100-USB Cardioid Dynamic USB/XLR Microphone is no doubt the best budget dynamic microphone. If you want a clean and bright podcast or vocal recording, it is not a bad idea to go for the best dynamic microphone at a price worth it, as long as it is affordable. But if you have a very tight budget, you can still find a good dynamic microphone in your budget range. Here we have narrowed down your choice of dynamic microphone based on the purpose you want it to serve. 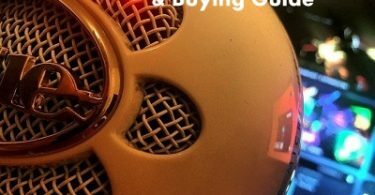 In this buying guide, we reviewed the best dynamic microphone for live vocals and the best dynamic microphone for podcasting. Without cost restrictions, we have considered the best dynamic microphone that can deliver a professional vocal quality for a standard studio set-up or live sound reinforcement. Taking the spot for the best dynamic mic for recording vocals is Sennheiser MD 421 II Cardioid Dynamic Microphone. Sennheiser’s MD 421 II is one of the most recognized vocal microphones in the world, and it is the most versatile of its kind. It has a very flat frequency response, and it reproduces your vocals to the best quality. It comes with a pop filter, hum compensation coil, and characterized by a highly directional cardioid pickup pattern. It comes with a treble boost and five-position bass roll-off switch, which makes it an excellent choice for snares, kicks, toms, and other percussions. With its open cage top design, it can cut-off any background noise on the stage or during studio sessions. This top-rated cardioid dynamic microphone has been used in the studios and on stage by world renown artists and bands like Pere Ubu and The Grateful Dead. It is no doubt the best dynamic mic for recording vocals. Our choice of the best dynamic microphone for podcasting in this buying guide is the Electro Voice RE-20 Cardioid Microphone. This dynamic microphone has been around for a very long time and hasn’t disappointed people’s expectations till date. I haven’t heard anyone say they have a thing against it. 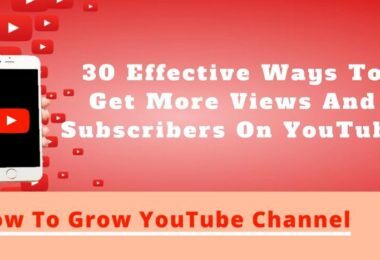 Without any gainsaying, the Electro Voice RE-20 Cardioid Microphone is just perfect for vocals, most especially speech broadcasts, and so we have picked it as the best dynamic microphone for podcasting. You can be sure of less background noise and a highly professional output that will set your podcast recording apart. The RE-20 Cardioid Microphone has a voice-tailored frequency response of 45Hz-18 KHz and comes with a true cardioid at 180 degrees off-axis. Within dynamic microphone is a heavy-duty pop filter. It comes with a large diaphragm which makes it perform like a studio condenser microphone in quality. With its humbucking coil, it will do well in cutting out vibration-induced noises, leaving you with a rich and clear sound. If you are reasonably away from the Electro Voice RE-20 Cardioid Microphone, you will hardly have proximity effect issues like it is rampant with most directional microphones. That is why it has been the favorite of several broadcasters, and the choice of a lot of vocalists. It is important to learn about everything that surrounds the use of dynamic microphones before going for one. You need to understand the right positioning for studio use or live performances, and how you can help its final output quality. But not no worry, this buying guide got it all covered for you! You must take into account your recording environment. If you are recording with your dynamic microphone in a standard studio with a proper padding, then you should worry less. You have the standard environment for recording. If you are using your dynamic microphone in your improvised home studio, however, you have to reduce the room’s acoustics even if you won’t be able to eliminate it entirely. For your podcasts or vocal recording in a room without proper padding, you should consider getting an acoustic isolation shield which looks like a mini-voice booth. If its price is out of your budget, you can as well improvise. You can get a cushion large enough to cover the ceiling and at least two of the four walls of the room. You can then position your dynamic microphone well in the angle between the cushioned walls. The cushion will absorb sound waves that could be bouncing back into the microphone. It will do well to eliminate echoes. 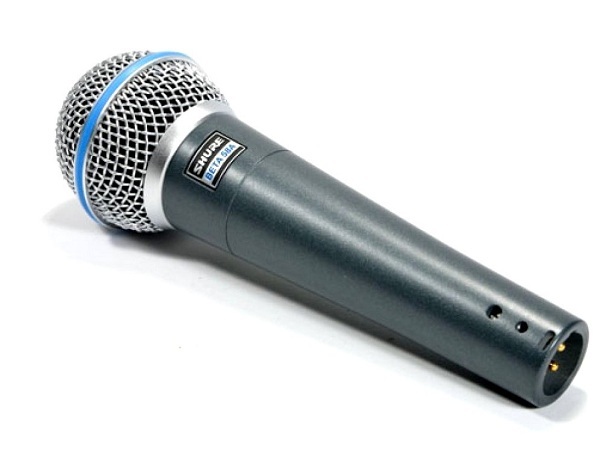 Microphones do not have their power sources, except for condenser microphones that make use phantom power. In that case, a dynamic microphone’s mic-level signal is not enough to move the cones of a loudspeaker. It, therefore, calls for an additional boost of that signal to line-level with an extra power source, hence the need for a preamplifier. If you will be doing a direct vocal recording into computer software, there is a need for a converter to translate the electric signals of the microphone to digital signals in a binary language that a computer understands. This conversion is carried out by an ADC, an element in sound cards. It is until conversion into binary signals has been done that digital editing of the recorded signals will be possible. It is, therefore, important to get yourself a good one as this analog to digital converter is what will determine the quality of your digital production outputs. An Audio Interface is the all-in-one solution that helps you upgrade the signals from your computer’s audio output. There are hundreds of audio interfaces available out there for different purposes, and choosing the right one could be a bit confusing because they all come with varying strength and features. Some are specially built for outdoor performances while some are only good in the studios. Identifying the right one that will deliver is more important than what your budget is if you are buying for professional use. 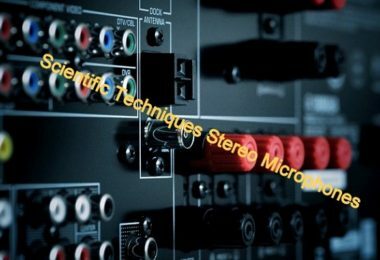 Irrespective of the design, build and size of an Audio interface, the important features that should determine your choice includes its form factor, its microphone preamp channels, its compatibility with digital audio workstations, and its input and output count. Condenser microphones depend on some extra phantom power to function optimally. It is a different case for dynamic microphones as they do not rely on this to perform well. Conventional mixers and preamps now have provisions for condenser microphones that require the extra phantom voltage of about 48 Volts. If you connect a dynamic microphone into a phantom power, it is unlikely to be harmed by the high voltage. But for best practices, you should always turn the phantom power off when a condenser microphone is not on the mixing console. Copyright © 2017. Created by Sound & Record.